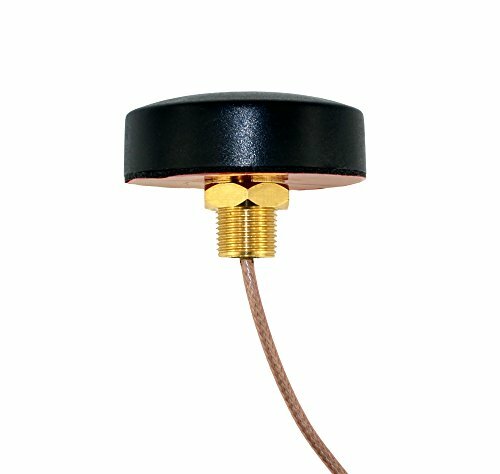 This extremely low profile (< 0.6 inches tall) fixed mount omni-directional antenna provides 2 dBi of gain and works on all 2.4 & 5.8 GHz Wi-Fi frequency bands worldwide. Designed for applications requiring an inconspicuous low-profile external antenna such as kiosks, vending machines, equipment panels, conference rooms, etc. Can also be vehicle mounted for buses, vans, trucks or other mobile installations. Integrated RPSMA male plug connector mates with RPSMA female jack on access points, routers, etc. BUY WITH CONFIDENCE: USA-based Proxicast has been designing and building innovative electronic products since 2000 -- Includes 12 month Warranty & US-based Technical Support.